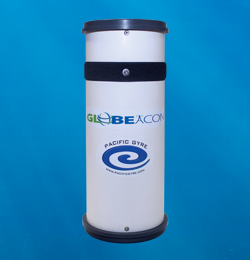 Pacific Gyre Lagrangian drifters are calibrated instruments designed to measure water currents and collect environmental data in oceans, lakes, and rivers. Modifications can include, but are not limited to, additional sensors, different telemetry options and alternate drogue depths. The low-cost, biodegradable, and sacrificial CARTHE drifter tracks currents centered 40 cm below the surface. This drifter is designed to enable large-scale deployments. 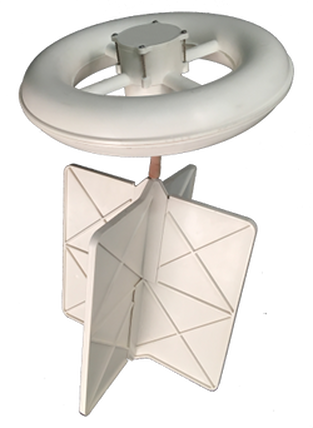 Specifically designed for coastal environments, the Microstar tracks currents centered 1 meter below the surface. 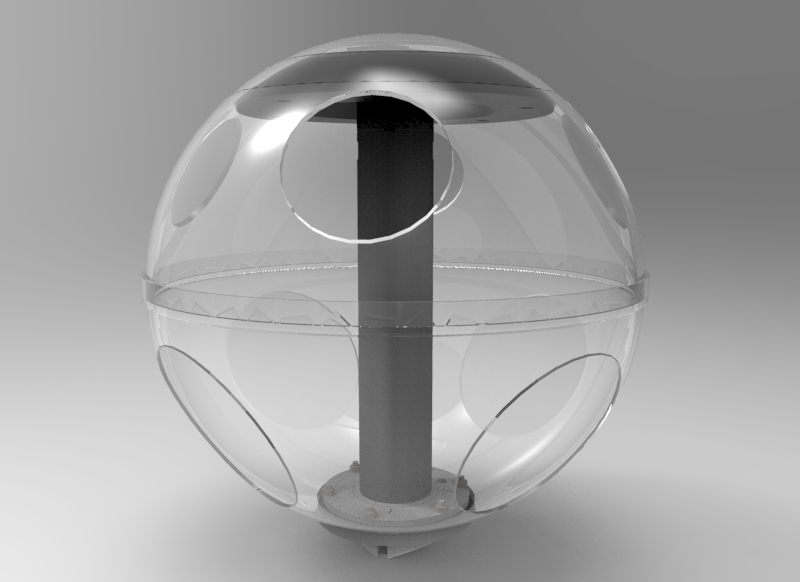 The SLDMB is a Microstar drifter which can be deployed by hand or air. The drogue opens automatically when coming into contact with water. Deploy by snow machine or air to track ice floes anywhere on the planet. Track the settling location of sediment cause by stormwater runoff. 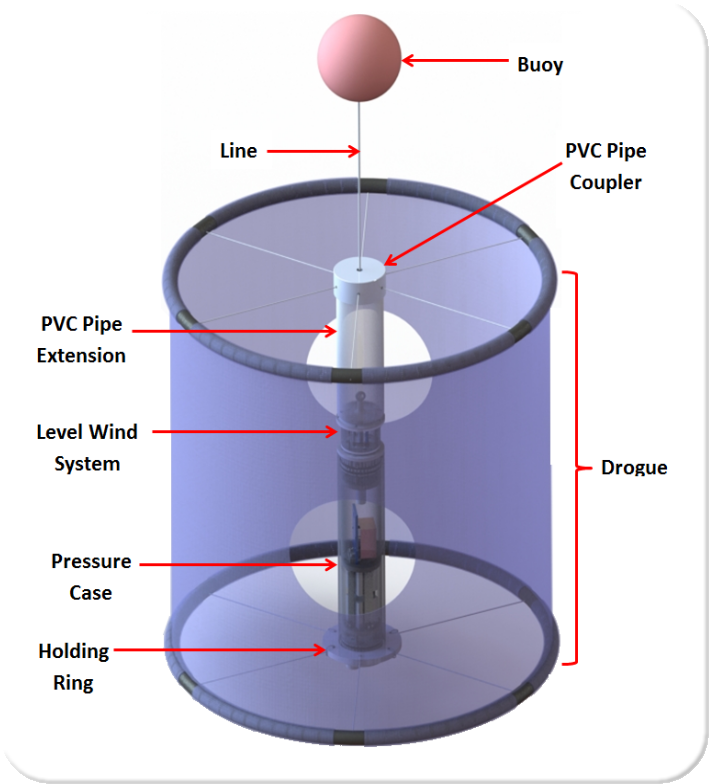 The Sediment Tracker's high-drag drogue lowers at a controlled rate approximating sediment falling to the ocean floor. Low cost object tracking. Just activate and attach to anything you want to track. 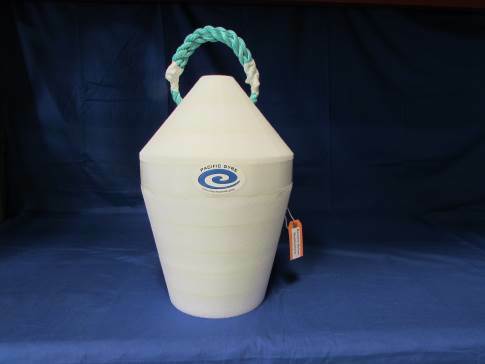 Perfect for ghost nets, flotsam, jetsam, lagan, barges or any other unmanned debris. 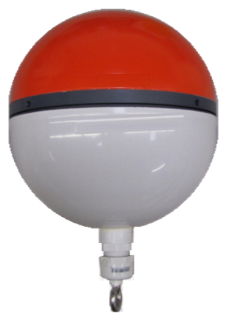 Available in sizes from 8 to 18 inches in diameter with optional environmental sensors. Copy files from one computer to another via satellite. 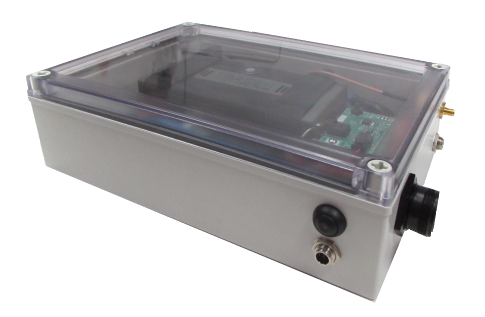 Plug the SatDrive appliance into your network and configure using the simple web interface. Then just send files using any common protocol to the SatDrive "send" folder and they will be automatically transmitted via satellite to your destination.